As The Authority in Recognition and Achievement™ we understand the importance of a well planned recognition program. Lane Awards has been developing trusted business relationships for over 3 generations. 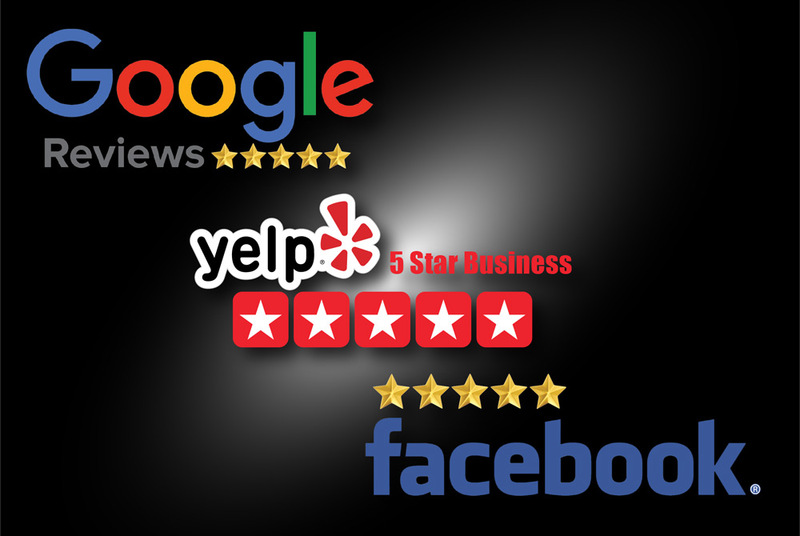 “Been going to Lane Award for more than 5 years — great service, quick turnaround, and a professional product. Highly recommend using Lane Award for any promotional or award needs!” -Trevor P.
We help both Large and Small Companies Succeed and Experience The Power Of Recognition™. Recognizing employees for positive behavior motivates them to continue in a way that earns recognition again. 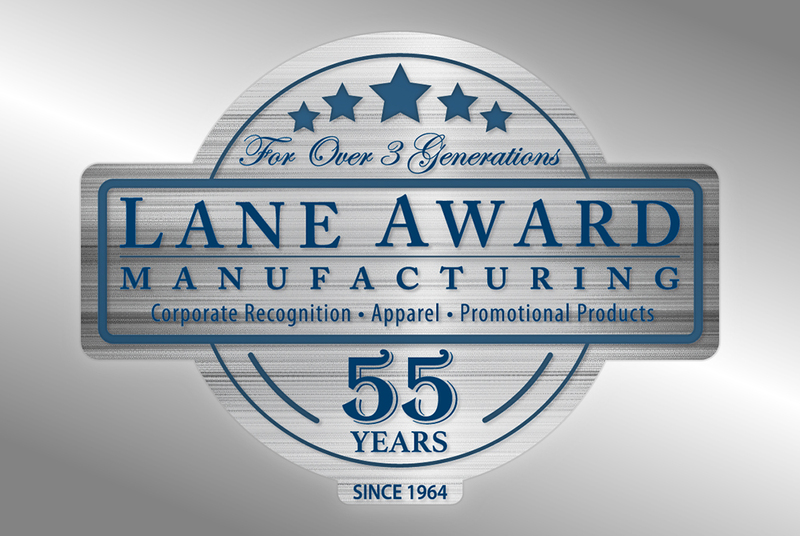 For more than 50 years Lane Award Manufacturing has been providing organizations with the highest quality gifts, promotional items, and handcrafted awards. 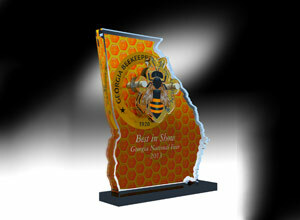 Crystal and Glass recognition awards are some of our most popular products. View Crystal & Glass Awards! 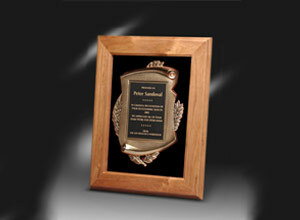 Timeless and classic, wood plaque awards are very popular with our customers. At Lane Award, we understand that excellence deserves recognition. That’s why we take pride in developing the highest quality gifts, promotional items, and handcrafted awards for every occasion. From employee recognition awards to championship trophies, Lane Award provides world-class, customized creations for every achievement of excellence and distinction. With a brilliant sparkle of elegance from every angle, each beautifully crafted Lane Award Crystal and Glass creation is the perfect reflection of excellence. Our diverse collection includes a unique array of designs ranging from awards crafted with the elegant simplicity of colorless crystal, to the bold and dynamic brilliance of blue, green, red and other bursts of color-accented designs. 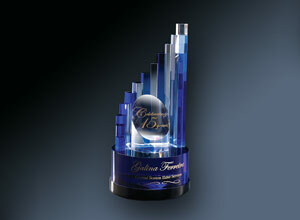 With the exquisite artistry of a Crystal or Glass Award from Lane Award, your expression of recognition is sure to be as remarkable as the triumph it celebrates. 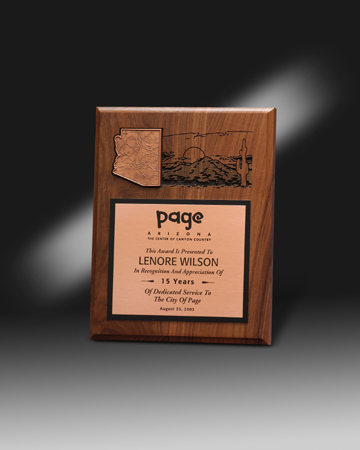 A truly gallant classic, Genuine Handcrafted Hardwood awards from Lane Award combine the timeless prestige of hardwood plaques with the signature distinction of quality that only Lane Award can deliver. Our Genuine Handcrafted Hardwoods boast a breadth of unique frames and styles including beveled frames, standing plaques and shadowboxes. We take pride in distinguishing our Lane Award Handcrafted Hardwood designs with unique customizations using bronze embellishments, glass inserts, granite accents and more. With a vast array of traditional and contemporary designs, our Genuine Handcrafted Hardwoods are a premier choice for masterful plaque creations. 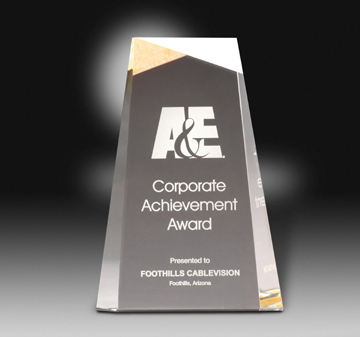 A dazzling display of achievement, our sleek and stylish Polished Acrylic Awards are sure to make a positive impression on any audience. 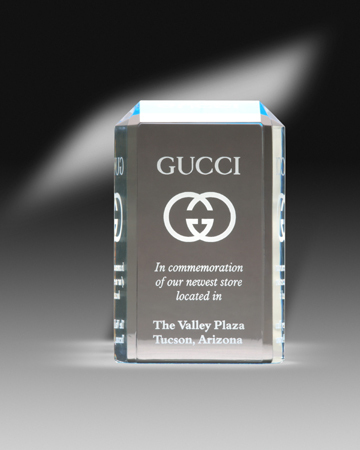 Whether you desire a traditional acrylic setting or a Lane Award’s custom embedment, our Polished Acrylic Awards are designed with elegant simplicity and a pristine representation of recognition for any occasion. 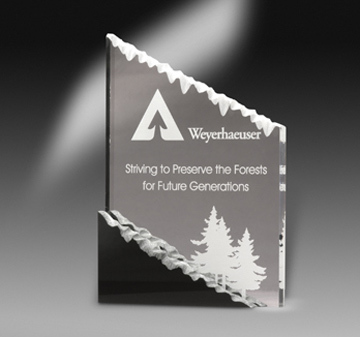 With an unparalleled dedication to capturing the unique essence behind every award, our Polished Acrylic Awards remain a timeless favorite for honorary ceremonies and displays of recognition. Crafted in an expansive assortment of bold shapes and sizes, our Lane Award Polished Acrylics unlock the door to endless possibilities of unique expression. For more than 50 years Lane Award Manufacturing has been developing trusted corporate partnerships and providing organizations with the highest quality gifts, promotional items, and handcrafted awards. 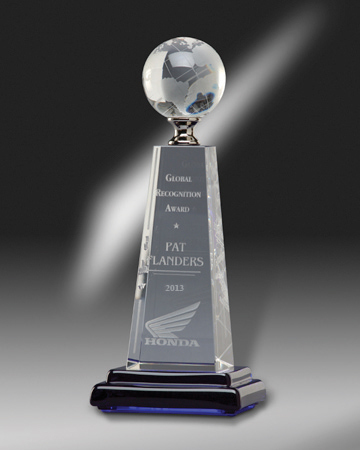 We will assist you in selecting and personalizing awards that specifically fit your needs, whether it be custom tailoring a program that lasts through the years, or discovering unique items that are a special way to say thanks. 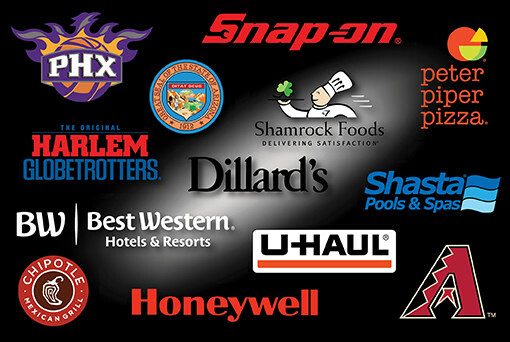 As The Authority in Recognition and Achievement™, we understand the importance of a well-planned recognition program. Exceptional Quality – We absolutely guarantee the quality of our product. Lane Award Manufacturing would like to be a partner in your efforts to improve employee performance and help you build your business. Whatever recognition challenges your company may face, Lane Award Manufacturing has the solutions. Let us assist you in creating awards that remain constant reminders of your company’s appreciation and help you Experience The Power of Recognition™! Why Are Employee Recognition Awards Important? Employee recognition for positive behavior motivates employees to continue in a way that earns recognition again. However, recognizing employees is not a one-time event. In fact, if it is just a one-time event, it will be widely ignored by staff members. Instead, employee recognition needs to be part of the culture of the organization in order to be effective.